Low melting point glass for press molding, high refractive index glass with low dispersion, and so on are available to your order. Please consult us for your specific needs. Good for protective glasses, condenser lenses, etc. 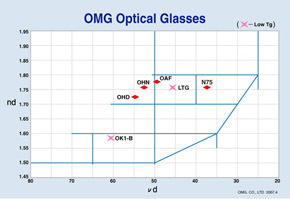 Standard optical lens material with Nd 1.523. 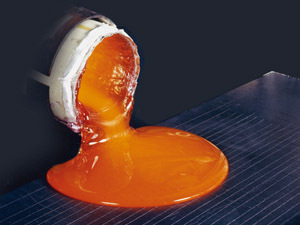 With these materials, it is possible to produce different shaped lenses continuously by metal mold. With Nd 1.523, it shows high transmittance in wide ranges from UV to IR areas. Optical elements, cover glass, etc. * Such high precision components as lenses and prisms are also available.